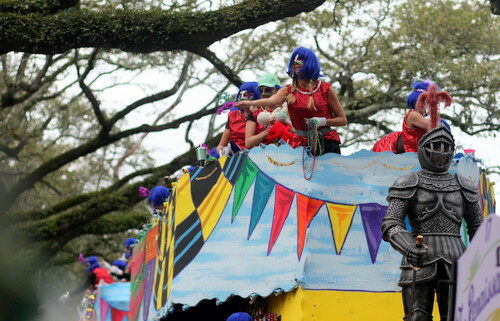 The Krewe of Iris, the city’s oldest all-female krewe, is stronger than ever at 102 — boasting the largest ridership in Carnival history. Named for the goddess of the rainbow and the sky, Iris shines over the final Carnival weekend. 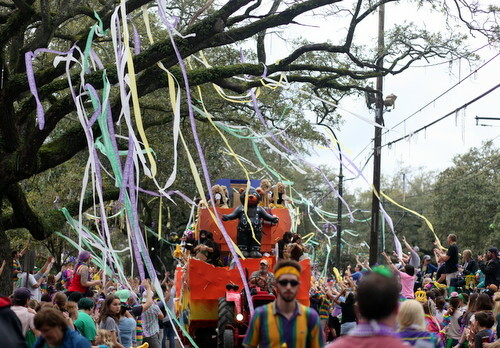 Its 34 floats will roll with the theme “Iris Through a Child’s Eyes.” Try to catch a pair of hand-decorated sunglasses, the krewe’s signature throw. 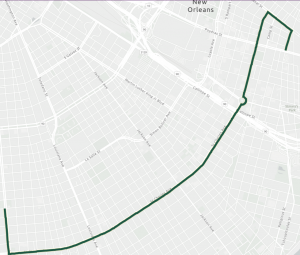 The parade turns left from Napoleon onto St. Charles Avenue and follows the traditional route through Uptown and the CBD. 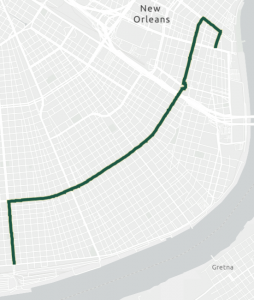 The parade takes Napoleon to St. Charles Avenue, then follows the traditional route along St. Charles into the CBD.